Guess What Waiting For You Did? 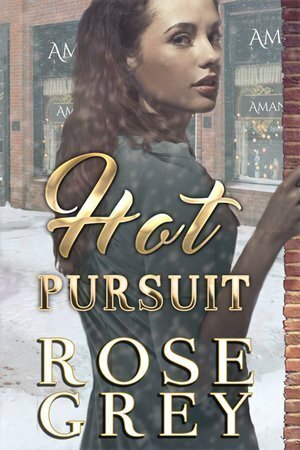 “Hot Pursuit” is Rose Grey’s second novel. The paperback version can now be purchased directly from Rosegreybooks.com! For the first time in her life, Jenny Rasmussen has things organized the way she wants them. Her toy store is flourishing, her sister and niece are happy, and her love life is nonexistent. Jenny has seen firsthand the damage love can do and she wants no part of that, thank you very much. But the moment she meets Special Agent Beau Rivers, Jenny’s well ordered life spirals out of control. Beau knows trouble when he sees it. The defiant, spitfire he is charged with protecting definitely falls into that category. But Beau is determined to do his job, even if Jenny dislikes him. Good thing the dislike is mutual since, in his line of work, love can be fatal to a career. But more than Beau’s job is at risk. Jenny’s life is at stake and he can’t deny the possibility that the threat is coming from within his beloved FBI.